Grants Available for Down Payment! • 2,065 sq. ft., 2 bath, 4 bdrm single story - $134,777 - Closing Costs Offered! 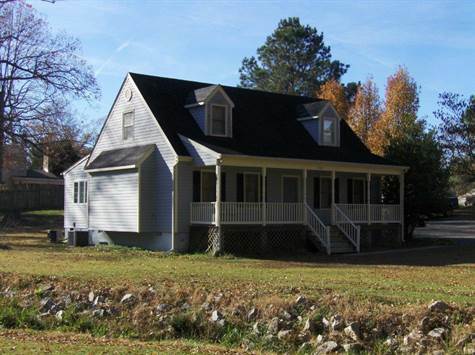 Hopewell, Virginia - Come grab this one before it is gone! Priced $40,000+ below assessment, this 2000+ SqFt 4 bedroom, 2 full bath cape cod is a great deal for someone who wants to be close to everything (Hopewell, Fort Lee, 295), but spread out on almost 1 acre of land.Outside some high points are the low maintenance vinyl exterior and replacement windows, energy efficient heat pumps, large level lot and 2 storage sheds. Inside is a roomy floor plan with a large eat-in kitchen, separate family room and living room. Plus everything has been freshened up with new paint and newer carpeting.Seller paying up to $3000 TOWARDS BUYERS CLOSING COSTS *PLUS* 1-YEAR HOME WARRANTY.This is NOT a short sale -- fast and easy closing is available. FREE Grant Funds Available - Call for Details! The house is in good condition and looks awesome from outside. Well I will share this on https://www.engadget.com/2016/08/23/from-paid-essays-to-apps-custom-writing-services-sell-mobile-ap/ website and wish that someone will contact you about it. Good luck!